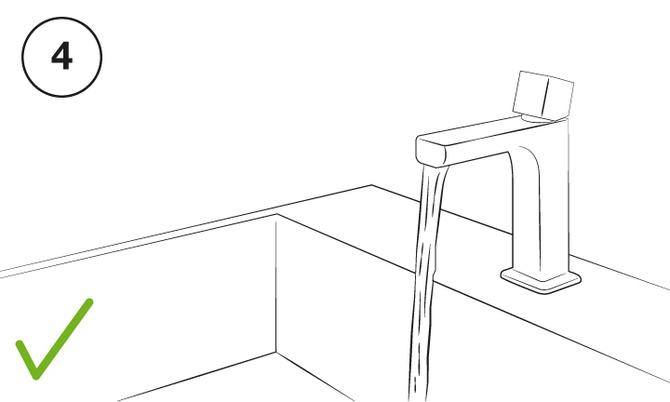 Is the water jet coming out of the tap not uniform, with a reduced stream that splashes? All you need to do is remove and clean the "filter", in just a few easy steps, and the tap will work just like new. With more or less frequent use of the taps, over time it is possible that the aerator or jet breaker (filter) clogs up due to the build-up of solid or solidified deposits left by the water. In cities or areas where the water is particularly "hard", i.e. containing a high percentage of limestone, the likelihood and frequency with which the problem occurs may increase and can cause serious problems. An aerator clogged with limescale, other deposits that have built-up over time or with impurities in general, is often the cause of tap malfunctions, such as a water jet that is no longer uniform and splashes, or, in some cases, a greatly reduced water flow. However, there’s no cause for concern; it’s enough to clean the aerator filter onto the tap spout regularly. To ensure that the taps always function perfectly and to prevent the formation of impurities, deposits or limescale inside the aerator, we recommend that you clean the filter regularly by following these simple instructions. 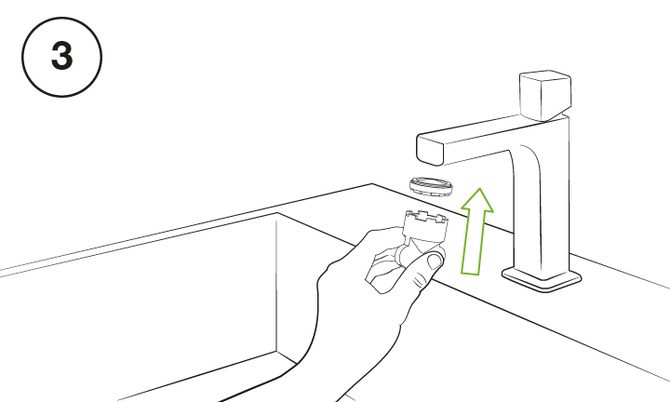 First remove the aerator from the tap spout with, depending on the tap model, the key provided in the product box or the other tools as specified below. 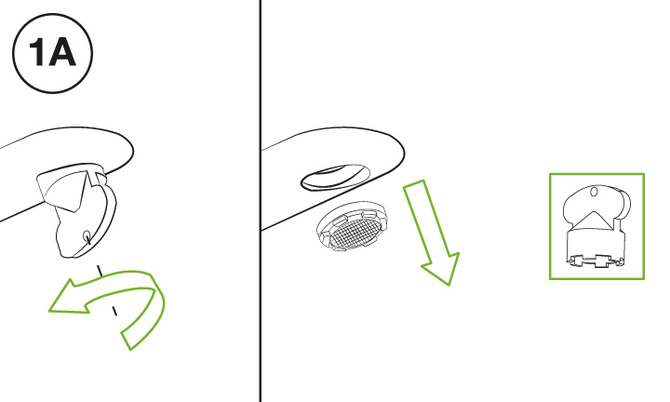 Remove the aerator from the tap spout with the key provided in the box. These instructions are for wash basin taps in the following collections: Synergy Open 93, Synergy Cover 94, Synergy Stone 95, Dynamica 88, Dynamica JK 89, Playone 85 (tonic jet), Playone JK 86 (tonic jet), Playone Plus 37 (tonic jet), Playone Minus 38 (tonic jet), Playone Déco 87, Daily 44, Daily Cube 45, Smile 64, New Cleo 84, Handy 42, Ready 43, CleoSteel 48, PlaySteel 58, LifeSteel 59. These instructions are for bidet taps in the following collections: Synergy Open 93, Synergy Cover 94, Synergy Stone 95, Daily 44, Daily Cube 45, Sweet 46, New Cleo 84, Handy 42, Ready 43, CleoSteel 48, PlaySteel 58, LifeSteel 59. These instructions are for kitchen sink taps in the following collections: New Cleo Kitchen and KitchenSteel. Remove the aerator with a 22 mm wrench. These instructions are for wash basin taps in the following collections: Playone 85 (tonic jet), Playone JK 86 (tonic jet), Playone Plus 37 (tonic jet), Playone Minus 38 (tonic jet). These instructions are for bidet taps in the following collections: Dynamica 88, Dynamica JK 89, Playone 85 (tonic jet), Playone JK 86 (tonic jet), Playone Plus 37 (tonic jet), Playone Minus 38 (tonic jet), Playone Déco 87, Cora 35, Cora 36, Melrose 70, Melrose 71, Melrose 20, Melrose 21, Melrose 22, Canterbury 30, Alison 33, Smile 64. These instructions are for kitchen sink taps in the following collections: Playone Kitchen, Spring Kitchen, New Cleo Kitchen and Melrose Kitchen. 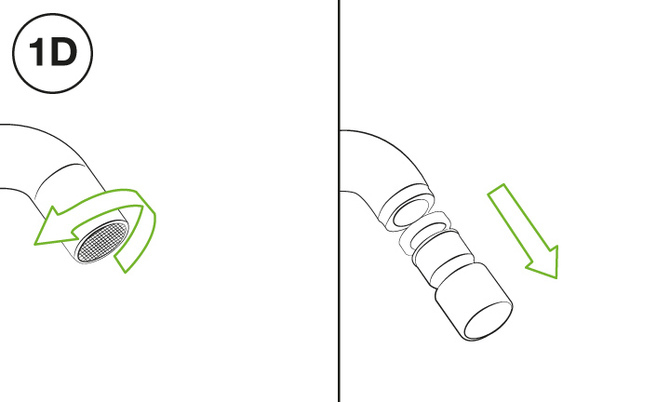 Remove the aerator by unscrewing the grub screw at the back of the tap spout by using the Allen key provided in the box. 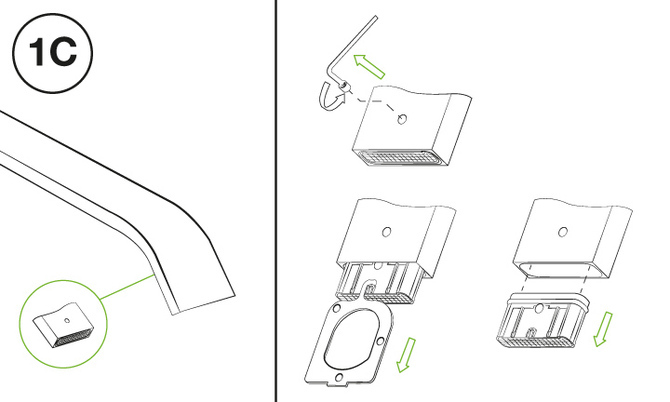 These instructions are for wash basin taps in the following collections: Playone 85 (cascade jet), Playone JK 86 (cascade jet), Playone Plus 37 (cascade jet), Playone Minus 38 (cascade jet), Sweet 46. Remove the aerator by unscrewing it by hand. No key or other kind of tool is necessary. 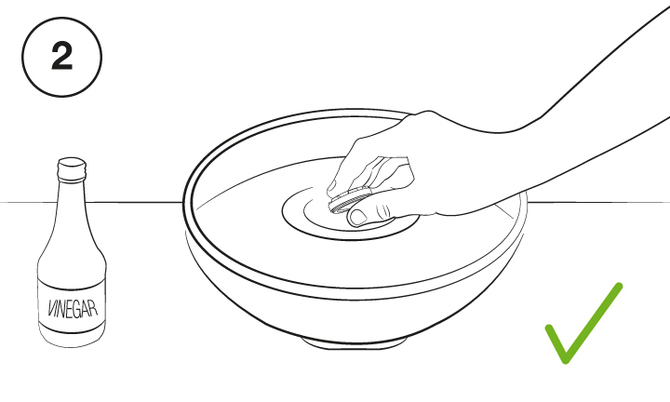 These instructions are for wash basin or bidet taps in the following collections: Cora 35 and Cora 36. 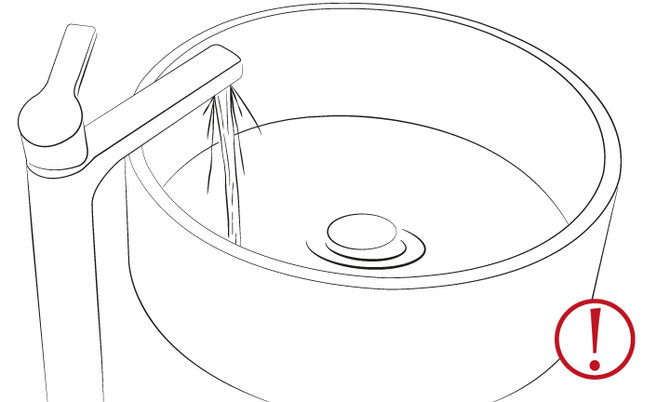 These instructions are for kitchen sink taps in the following collections: Cora Kitchen and New Cleo Kitchen. 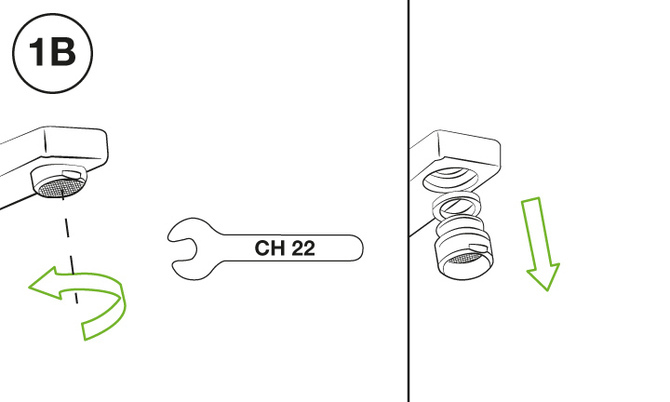 These instructions are for deck-mounted bath taps in the following collections: Melrose 70, Melrose 71, Melrose 20, Melrose 21, Melrose 22, Canterbury 30, Alison 33. After removing the aerator, clean it and rinse with normal clean water. For aerators with persisting limescale deposits or other sediments, immerse in diluted vinegar (maximum concentration of 10% at 20 ° C) and leave to soak for a few hours; rinse thoroughly with just water. This will remove limescale deposits and dirt from the aerator filters, thereby completely descaling the aerator. 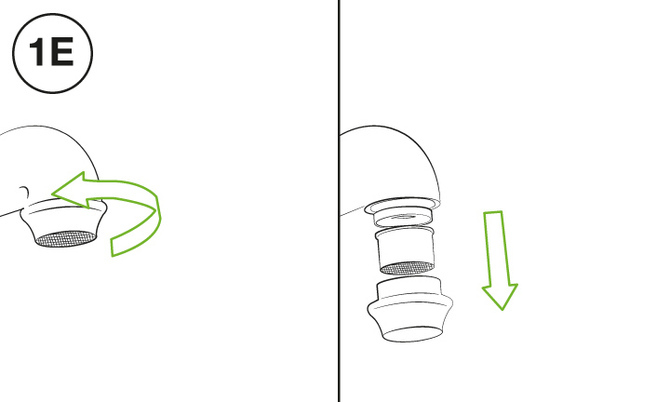 You can now reassemble the aerator onto the tap spout by repeating the same steps in reverse. No further maintenance is needed; the tap is now functioning normally. If there is a key included in the box, keep it in a safe place. You will need it for the regular maintenance of the tap aerator. NOTE. 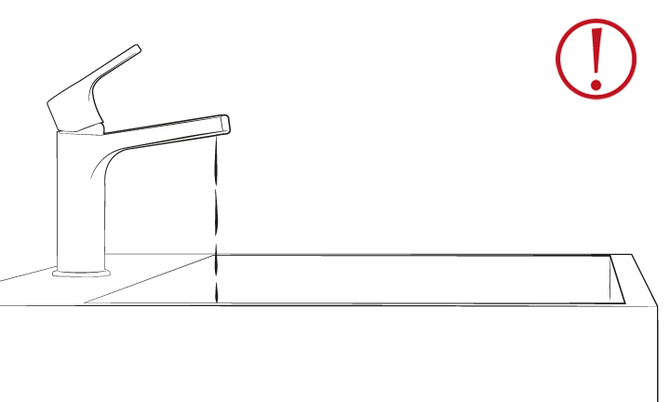 For some mixer models a key is not included, as other tools are required to remove the aerator, as indicated on the above explanatory drawings. 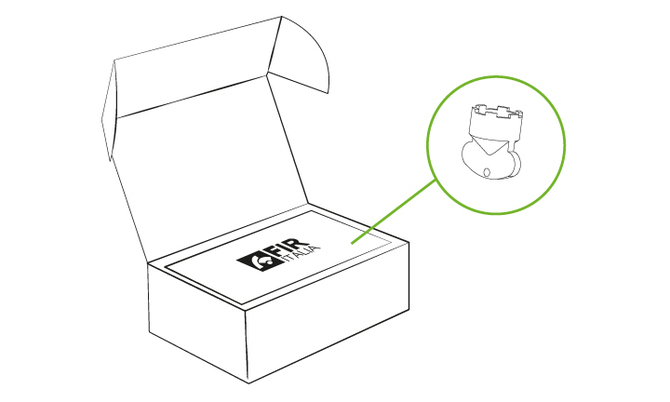 For any Fir Italia tap models not mentioned on this page, please contact us to request specific instructions by sending an email to info@fir-italia.it.